The most anticipated Nintendo Switch games that have got every gamer on the edge of their seat. Nintendo released all of the details regarding their new Switch console which included the release date of March 3rd and a price of $300. But people seem to be forgetting the most important aspect of a new console generation, the games. We already knew Nintendo would reveal a new Super Mario game and a few other first party titles as well as Elder Scrolls V: Skyrim. But what about the other games. Here are the most anticipated games on the Nintendo Switch. The newest installment in the Legend of Zelda franchise (Breath of the Wild) is easily one of the most anticipated games of the decade. It got initially revealed as an upcoming title for the WiiU, but with the failure of that console, it forced Nintendo's hand to hold off until the Nintendo Switch's release. The delay gave Nintendo an extra two years on the 3-year development cycle to refine, polish and perfect. LOZ: BOTW (The Legend of Zelda: Breath of the Wild) is the first fully open world sandbox game, it has a much larger overworld than Twilight Princess with a lot less emphasis on defined areas with entrances and exits. The player lives in Hyrule, and he/she has the choice to do whatever you please, including but not limited to beating the main boss on the first day. (Not recommended) But with every Zelda game, it has an incredibly rich story mode, and for the first time, it introduces voice acting(full disclosure it blew my freaking mind). The Legend of Zelda: Breath of the Wild is a launch title that everyone buying a Nintendo Switch should own because the key to success in life is Zelda on the go. Here is the launch trailer for Breath of the Wild. Splatoon 2 is an upcoming sequel to the third-person team-based shooter which takes place two years after the first game. The game centers around little characters known as Inklings which are beings that transformed into a human-like creature to a squid that can traverse through colored ink sprayed surfaces using a brush, gun or a bucket. This game has a pretty big cult following and its one of Nintendo's most potential games regarding eSports alongside the massive Super Smash Brothers. I didn't play much of the original Splatoon, but the next installment looks like it could be a huge success especially the fact that it can be played with up to 8 players 4v4 connected with the switch, Splatoon 2 releases this summer on the Nintendo Switch. Xenoblade Chronicles 2 is an upcoming Japanese role-playing game that is being developed by Monolith Soft; the game will star a new character in search for Elysium. Xenoblade two got announced alongside the complete reveal of the Nintendo Switch. We don't have much information about this game but the executive director, Tetsuya Takahashi is guiding the development. The release date for Xenoblade 2 is TBD(To Be Determined) we will update you when we have more information regarding the release date. Here is the official announcement video. Super Mario Odyssey is the newest installment of the Mario franchise being developed and published by Nintendo this game completely stole the show during the reveal of the Nintendo Switch. It will be an open world 3d platformer similar to Super Mario 64 and Super Mario Sunshine. The game puts Mario in lands never before traveled that stretch far from the Mushroom Kingdom. 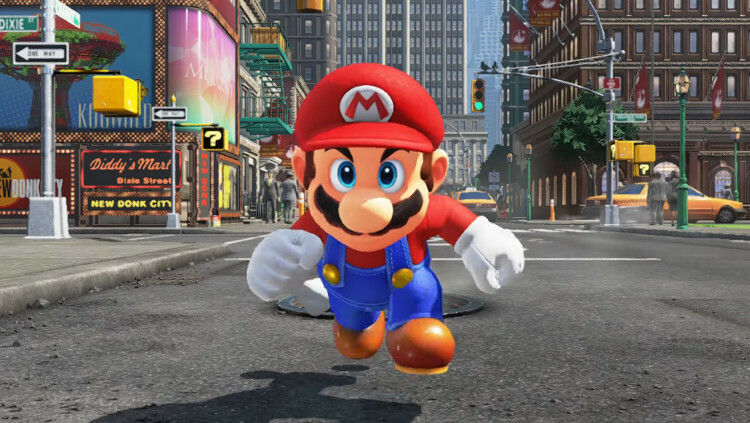 For the first time in Mario, it features levels inspired by real-world places such as New York City aka New Donk City(Donk+ey Kong=Donkey Kong 64 sequel confirmed jk). Mario uses his excellent platforming skills such as ledge-grabbing and wall-jumping, and the brand new feature of Odyssey Mario can throw his cap, where he can use it to jump across longer gaps and reach higher ledges. Super Mario Odyssey was teased in Nintendo's first trailer for the Nintendo Switch and got unveiled at the Nintendo Switch Presentation. Super Mario Odyssey is set to release in the holiday season of 2017 which is a long time from now but well worth the wait. Here is the Super Mario Odyssey reveal. This console generation is looking like a huge step in the right direction for Nintendo these are just a small fraction of the games announced for the Switch. If Nintendo continues to market this system and work with game developers we could see a huge player returning to the console race. For all things new with Nintendo including Super Mario Odyssey, Splatoon and Zelda and more bookmark LevelCamp.com and follow us on social media. YouTube Creator, T1 Ranter, Gamer, Netflixholic, Podcaster and game journalist.